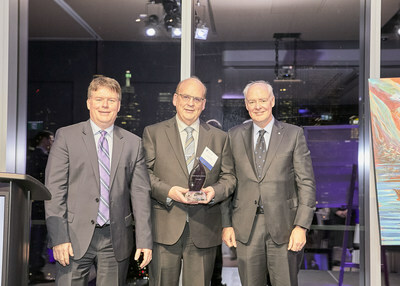 TORONTO, Nov. 29, 2018 /CNW/ - The Canadian Chamber of Commerce and Grant Thornton LLP (Grant Thornton) are pleased to announce the 2018 Private Business Growth Award winner – Cooke Aquaculture Inc. (Cooke Aquaculture), a global seafood leader that delivers products and services while considering a sustainable footprint. "My sincere congratulations goes to Cooke Aquaculture, a Canadian leader of the seafood industry," said Kevin Ladner, CEO and Executive Partner, Grant Thornton. "It's an honour to recognize Cooke Aquaculture with the Private Business Growth Award, as they exemplify a business with a tenacious pursuit for innovation and growth." "By combining innovation, sustainability and high standards into their everyday practices, Cooke Aquaculture provides the very best the ocean has to offer," said the Hon. Perrin Beatty, President and CEO of the Canadian Chamber of Commerce. "Their pursuit of economic growth while ensuring they protect the environmental integrity of our Canadian waters is one of the many reasons they make an exceptional choice for this year's Private Growth Award." 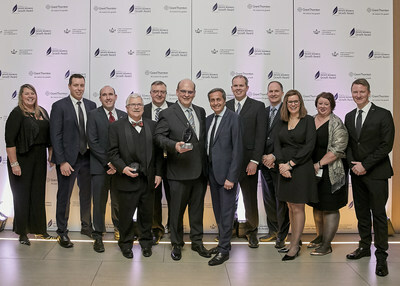 Cooke Aquaculture and fellow Top 10 Private Business Growth Award Finalists were recognized at a gala held at The Globe and Mail Centre in Toronto on November 28, hosted by TV personality, Rick Campanelli. To learn more about the Private Business Growth Award, visit www.GrowthAward.com.